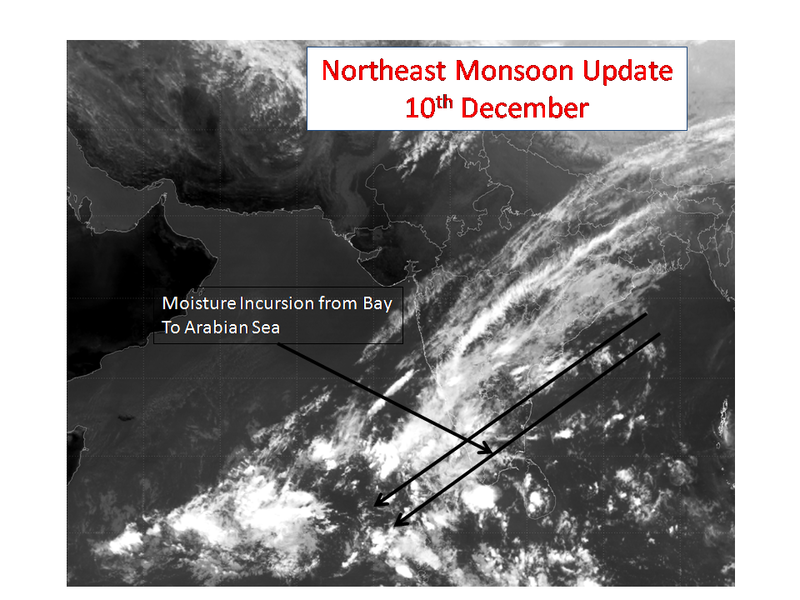 As explained yesterday there is a mild Low Pressure Area that is showing signs of development in the Arabian Sea. Unfortunately for Chennai it is at a fairly low latitude to provide any major advantage for North TN, It is expected to continue in a Westerly direction towards Africa over the next few days. Unlikely to develop into any major system it would certainly upset the prevailing winds and moisture driven through Easterlies for the next few days. 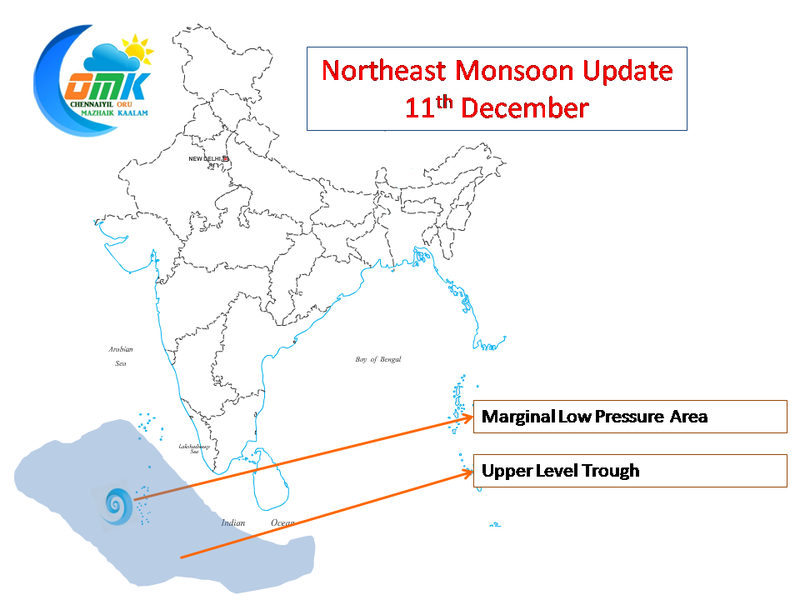 This could provide a break for Chennai from rains after an isolated spell tonight and early tomorrow morning. Nothing to worry much, the break would last for a couple of days until possibly Monday / Tuesday. 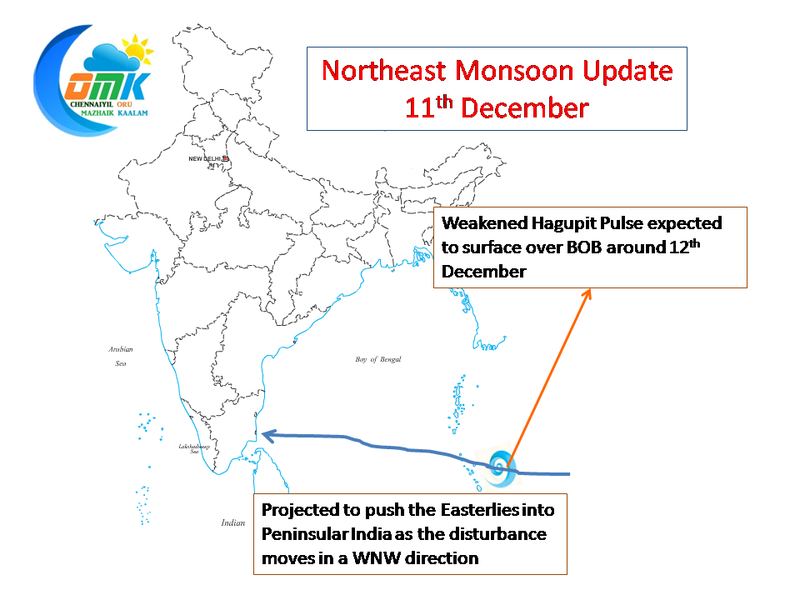 By around Friday / Saturday the pulse from Hagupit Typhoon would possibly move into Bay of Bengal providing an impetus to the Easterlies once again. While it is too early to project on whether this disturbance would intensify into a marked system, it would certainly help us in getting our rains once again from early next week.